You no longer need to wait for Saturday night in Santa Barbara to get into party mode. Thursday has become the official kick off for the weekend. Whether you’re interested in art, movies or fashion, Thursday evening is now the day to grab locals before they take off for weekend commitments. Patricia Guerrera recently took that opportunity to hold her grand opening soirée at her new shop, FG Beauty Boutique, in Paseo Nuevo downtown. 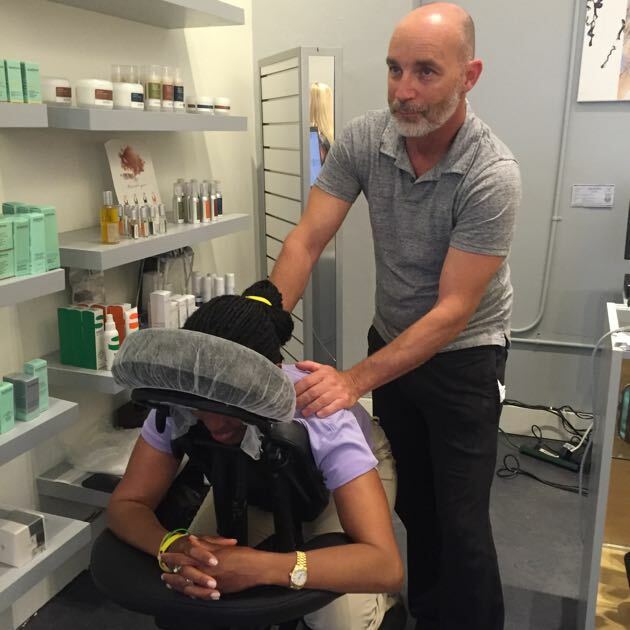 Deciding to move her former business, Tru Beauty, from Mission Street when her lease was up, she grabbed the space with an urban feel next door to Alex’s Salon & Blow Dry Bar across from Paseo Nuevo Cinemas. Guerrera has named her new business after her sister, Francesca, a legend in the beauty biz in Florida and owner of Francesca Guerrera Salon + Spa, a full-service hair and makeup boutique in Fort Lauderdale. Francesca Guerrera began her career at Barneys New York, where she developed a line of her own makeup brushes and her FG makeup line — along with a long list of celebrity clients. 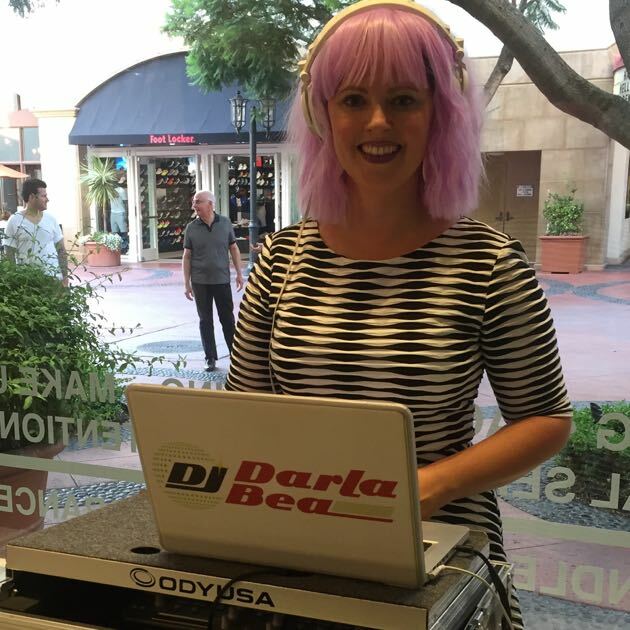 With deejay Darla Bea spinning tunes and Hari Siddhadas performing chair massages, Guerrera and her assistant, Page Berse, were providing mini facials and makeup applications for a steady lineup of women. Few things are more fun than getting a makeover from a professional makeup artist, and Guerrera is that. She’s been working in Santa Barbara for decades, and her reputation and talent are stellar. Food and drink were plentiful, and the only thing Guerrera ran short on was space to move around due to the overflowing crowd. FG Beauty Boutique offers lash tinting, lashes for the evening, and the latest trend, lash extensions, which are performed in a private setting by Stephanie Kasai. The salon also has a full menu of waxing options, facials and makeup for an individual or an entire bridal party. Walk-ins are welcome, which is perfect for a downtown location where foot traffic is brisk. Along with candles and some jewelry, FG Beauty Boutique has products that include Eve Lom, Bond No. 9 New York fragrances, Caudalie, Trapp, Darphin Paris skin care and Kevyn Aucoin makeup. 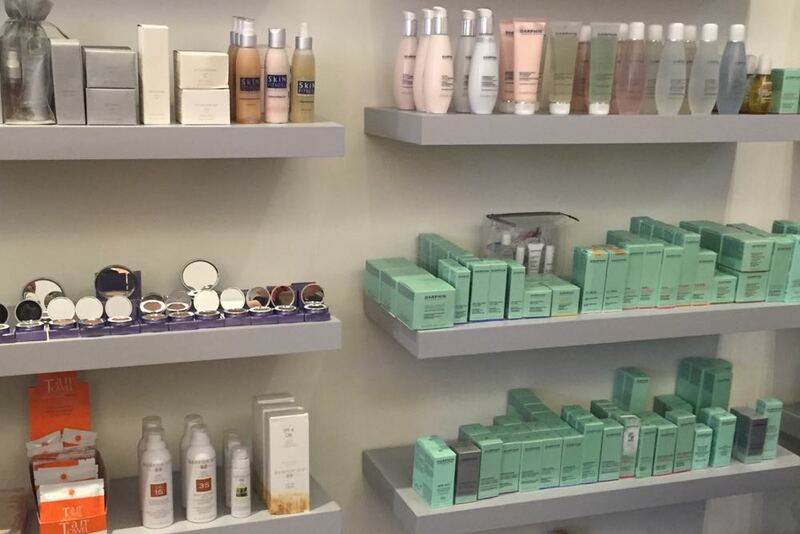 FG Beauty Boutique, at 11 W. De la Guerra St. in Paseo Nuevo, is open from 10:30 a.m. to 6 p.m. Monday through Saturday, and noon to 5 p.m. Sunday. Click here for more information, or call 805.203.1300. — Judy Foreman is a Noozhawk columnist and longtime local writer and lifestyles observer. She can be contacted at judyforeman@noozhawk.com . Click here for previous columns. The opinions expressed are her own.